The 2019 Volkswagen Tiguan combines Volkswagen's hallmark fun-to-drive character with a sophisticated and spacious interior, flexible seating, and high-tech infotainment and available driver-assistance features. 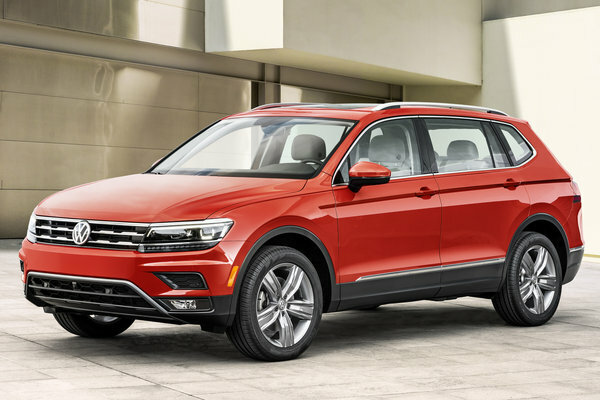 New for 2019 The 2019 Tiguan is offered in six trims-S, SE, SEL, SEL R-Line(R), SEL Premium, and SEL Premium R-Line. Front-wheel drive is standard on S, SE, SEL, and SEL R-Line, with 4Motion(R) with Active Control available. SEL Premium and SEL Premium R-Line models are equipped with standard 4Motion. In a...Read.